If you have sustained personal injuries at Edison Mall in Fort Myers, you should know that you are not alone. Accidents occur there every now and then. Maybe before now you have been focused on shopping and entertainment. You were unaware of people who were injured in Edison Mall, but now that you or a loved one are injured, you understand. Our Edison Mall accident lawyers at the Wolfson Law Firm in Fort Myers help good folks injured at Edison Mall determine whether they are entitled to compensation due to their injuries and, if they are, how to proceed. You'll likely have numerous expenses related to the injuries and you don't have time to waste. Call us now at 239-777-9954 for your free consultation. You don't pay until we recover compensation for you. Edison Mall, located on 4125 Cleveland Avenue in Fort Myers, is one of the oldest shopping malls in the city. It was opened in 1965. Edison Mall was much smaller in the beginning, but after three expansions throughout the years, it has grown into a large super-regional shopping mall, as we know it today. Medical bills, such as visits to doctor, stays in hospital, surgeries, etc. Loss of financial support for members of the family, if the injured or deceased person is unable to support his or her family due to the injury consequences in certain cases. Take care of your injuries. If you need urgent medical help, ask someone to call an ambulance or to take you to hospital immediately. Report the accident to the mall manager or employee. They should write a report of the accident. Ask for a copy of this report. Take contact information of any witnesses of the event. They could help you prove your case later in the procedure. Try to determine the cause your accident. Make sure it is included in the accident report. Save your shoes and clothes in a zipped plastic bag. Your Edison Mall accident lawyer may want to test it later to prove the cause of your accident and injuries. Take photos and videos of the scene. They could serve as evidence as well, but the mall management may not do it for you. Call an Edison Mall accident lawyer. It is possible that you will be approached by an Edison Mall insurance company with an offer for settlement. Do not accept it before speaking to an attorney. Most often, these offers are not enough to cover for all your harms and losses due to the injury. A good lawyer will be able to advise you if it is a fair offer or not. Establishing liability for your injuries properly is one of the keys to successful financial recovery. If you do it wrong and you claim damages recovery from the wrong potential defendant, in the end, you'll not only lose the case, but you may have to pay for the defendant legal fees and expenses. That's why it is wise to talk to a lawyer first. It is often not clear as to who or what corporation may be liable for your personal injuries. 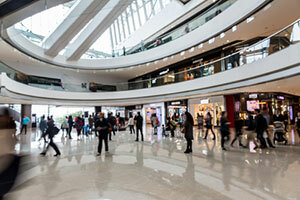 In Edison Mall accidents, the mall may be liable under the Florida premises liability laws. These laws require them to provide a reasonably safe environment for shopping, dining, and entertainment. When Edison Mall breaches that duty due to negligence, and that causes accidents and injuries consequently, they can be held legally responsible for paying for the damages of the injured person. However, there are plenty of stores and restaurants in Edison Mall that are just tenants there. It's not the mall that controls their premises. Each one of them oversee their own premises, hence the liability for injuries sustained may rest with the individual store owner. Wherever your accident has occurred, don't rush to represent yourself. Instead, call the best Fort Myers personal injury lawyer you can find and get the answers to your questions. You owe it to yourself and your family. Don't be a silent victim - call us for your free consultation. Our bilingual Edison Mall accident attorneys at the Wolfson Law Firm are available to help good folks who were injured in an accident at Edison Mall in Fort Myers. Call 239-777-9954 for a free consultation. We don't ask for fees unless we recover compensation for you. The Wolfson Law Firm is situated at 3049 Cleveland Ave #140, Fort Myers, FL 33901 and serves the Southwest Florida towns and communities of Fort Myers, Alva, Saint James City, Boca Grande, Lehigh Acres, Bokeelia, Sanibel, Cape Coral, Bonita Springs, Captiva, Estero, Fort Myers Beach, Pineland, North Fort Myers, Naples, Everglades City, Marco Island, Golden Gate, Lely Resort, Goodland, Immokalee, Chokoloskee, Island Walk, Lely, Vineyards, Naples Manor, Plantation Island, Orangetree, Pelican Bay, Naples Park, Ochopee, Pine Ridge, Verona Walk, Ave Maria, East Naples and North Naples.